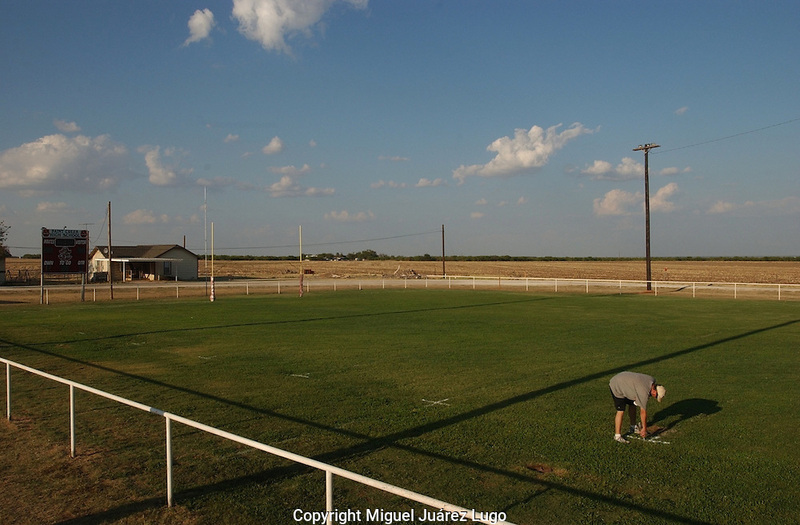 An assistant football coach paints the field just before a Friday night six man football game in Paint Creek, Texas, the hometown of Texas Gov. Rick Perry. (PHOTO: MIGUEL JUAREZ LUGO).